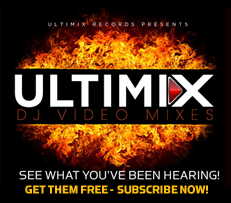 The hottest Ultimix and Funkymix versions available on VIDEO (free for all VIP subscribers) - To become a VIP you must subscribe to BOTH Ultimix and Funkymix. You wanted it, now get it - subscribe now for instant access! by The Chainsmokers featuring Emily Warren VIP Subscribers Only. by Travis Scott VIP Subscribers Only. by Imagine Dragons VIP Subscribers Only. by DJ Snake & Mercer VIP Subscribers Only. by Ariana Grande VIP Subscribers Only. by 6ix9ine featuring Nicki Minaj and Murda Beatz VIP Subscribers Only. by YG featuring 2 Chainz and Nicki Minaj VIP Subscribers Only. by Kungs and Stargate f. GOLDN VIP Subscribers Only. by Bazzi featuring Camila Cabello VIP Subscribers Only. by Big Pineapple VIP Subscribers Only. by David Guetta & Showtek VIP Subscribers Only. by Dan and Shay VIP Subscribers Only. by Kygo featuring Miguel VIP Subscribers Only. by Bebe Rexha VIP Subscribers Only. by Nicki Minaj VIP Subscribers Only. by Don Diablo VIP Subscribers Only. by Tyga featuring Offset VIP Subscribers Only. by DJ Khaled featuring Justin Bieber and Quavo VIP Subscribers Only. by Alvaro Soler VIP Subscribers Only. by Tiesto and Dzeko featuring Preme and Post Malone VIP Subscribers Only. by Drake VIP Subscribers Only. by Lucas and Steve and Brandy VIP Subscribers Only. by 5 Seconds of Summer VIP Subscribers Only. by Ella Mai VIP Subscribers Only. by Diplo, French Montana & Lil Pump featuring Zhavia VIP Subscribers Only. by Florida Georgia Line VIP Subscribers Only. by Gorgon City VIP Subscribers Only. by Alessia Cara VIP Subscribers Only. by Backstreet Boys VIP Subscribers Only. by Charlie Puth featuring Kehlani VIP Subscribers Only. by Daddy Yankee, Rkm and Ken-y with Arcangel VIP Subscribers Only. by Childish Gambino VIP Subscribers Only. by XXXTentacion VIP Subscribers Only. 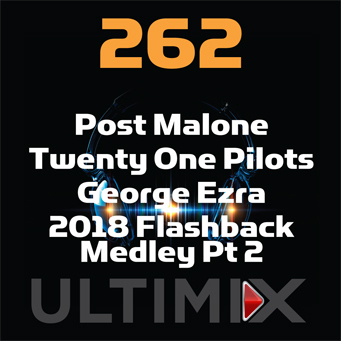 by Post Malone featuring TY Dolla Sign VIP Subscribers Only. by Enrique Iglesias featuring Pitbull VIP Subscribers Only. by Khalid and Normani featuring Rick Ross VIP Subscribers Only. by Cardi B featuring Bad Bunny & J Balvin VIP Subscribers Only. by Maroon 5 f. Cardi B VIP Subscribers Only. by Black Caviar f. u.n.i. VIP Subscribers Only. by Nicki Minaj f. Ariana Grande VIP Subscribers Only. by Selena Gomez VIP Subscribers Only. by Sabrina Carpenter VIP Subscribers Only. by Various Artists VIP Subscribers Only. by Jennifer Lopez featuring DJ Khaled and Cardi B VIP Subscribers Only. by Kenny Chesney VIP Subscribers Only. by Rita Ora, Cardi B, Bebe Rexha and Charli XCX VIP Subscribers Only. by Kris Wu VIP Subscribers Only. by Juice WRLD VIP Subscribers Only. by Steve Aoki featuring Loopers VIP Subscribers Only. by Panic At The Disco VIP Subscribers Only. by AJR featuring Rivers Cuomo VIP Subscribers Only. by Rudimental featuring Jess Glynne & Macklemore VIP Subscribers Only. by Migos VIP Subscribers Only. by Blac Youngsta VIP Subscribers Only. by Lil Pump VIP Subscribers Only. by Liam Payne & J Balvin VIP Subscribers Only. by Lauv VIP Subscribers Only. by Shawn Mendes VIP Subscribers Only. by Zayn VIP Subscribers Only. by Calvin Harris & Dua Lipa VIP Subscribers Only. by Maroon 5 VIP Subscribers Only. by Niall Horan VIP Subscribers Only. by Meghan Trainor VIP Subscribers Only. by James Hype featuring Kelli Leigh VIP Subscribers Only. by Dua Lipa VIP Subscribers Only. by Cardi B VIP Subscribers Only. by Kesha featuring Dap Kings VIP Subscribers Only. by Zedd featuring Maren Morris and Grey VIP Subscribers Only. by G-Eazy featuring Charlie Puth VIP Subscribers Only. by DJ Kass VIP Subscribers Only. by Nightcrawlers and John Reid featuring Big Narstie VIP Subscribers Only. by Messiah featuring Kap G & Play N Skillz VIP Subscribers Only. by Post Malone VIP Subscribers Only. by The Weeknd and Kendrick Lamar VIP Subscribers Only. by DJ Snake VIP Subscribers Only. by Saweetie VIP Subscribers Only. by Lil Dicky featuring Chris Brown VIP Subscribers Only. by Tech9ne VIP Subscribers Only. by MC Fioti, Future, J Balvin, Stefflon Don and Juan VIP Subscribers Only. by Jack and Jack VIP Subscribers Only. by Halsey featuring Big Sean and Stefflon Don VIP Subscribers Only. by Lil Jon & Offset featuring 2 Chainz VIP Subscribers Only. by Devin Dawson VIP Subscribers Only. by Cardi B featuring 21 Savage VIP Subscribers Only. by Tiesto & Sevenn featuring Gucci Mane VIP Subscribers Only. by Jax Jones f. Ina Wroldson VIP Subscribers Only. by Luke Bryan VIP Subscribers Only. by Justin Timberlake VIP Subscribers Only. by Marshmello & Anne-Marie VIP Subscribers Only. by Sean Paul & David Guetta featuring Becky G VIP Subscribers Only. by Kent Jones VIP Subscribers Only. by Bazzi VIP Subscribers Only. by Tinashe featuring Offset VIP Subscribers Only. by Huntar featuring Gucci Mane VIP Subscribers Only. by Mackenzie Nicole VIP Subscribers Only. by Walker Hayes VIP Subscribers Only. by Selena Gomez and Marshmello VIP Subscribers Only. by Offset and Metro Boomin VIP Subscribers Only. by Camila Cabello VIP Subscribers Only. by Clean Bandit featuring Julia Michaels VIP Subscribers Only. by Macklemore and Kesha VIP Subscribers Only. by Bruno Mars and Cardi B VIP Subscribers Only. by Timmy Trumpet and Savage VIP Subscribers Only. by Kendrick Lamar and SZA VIP Subscribers Only. by Taylor Swift featuring Ed Sheeran and Future VIP Subscribers Only. by Calvin Harris featuring Kehlani and Lil Yachty VIP Subscribers Only. by Farruko featuring Nicki Minaj, 21 Savage & Rvssian VIP Subscribers Only. by Bebe Rexha featuring Florida Georgia Line VIP Subscribers Only. by Eminem featuring Ed Sheeran VIP Subscribers Only. by Big Boi VIP Subscribers Only. by MGK, X Ambassadors and Bebe Rexha VIP Subscribers Only. by G-Eazy and Halsey VIP Subscribers Only. by Cheat Codes featuring Fetty Wap VIP Subscribers Only. by Luis Fonsi and Demi Lovato VIP Subscribers Only. by Zayn featuring Sia VIP Subscribers Only. by Halsey VIP Subscribers Only. by Luke Combs VIP Subscribers Only. by Eminem f. Beyonce VIP Subscribers Only. by N.E.R.D. featuring Rihanna VIP Subscribers Only. 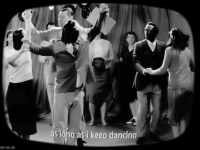 by Ofenbach and Nick Waterhouse VIP Subscribers Only. by Pitbull and Stereotypes featuring E40 and Abraham VIP Subscribers Only. by Flo Rida featuring Maluma VIP Subscribers Only. by Fergie f. Nicki Minaj VIP Subscribers Only. by Maroon 5 f. SZA VIP Subscribers Only. by Amine VIP Subscribers Only. by Post Malone f. 21 Savage VIP Subscribers Only. by G-Eazy f. ASAP Rocky and Cardi B VIP Subscribers Only. by Taylor Swift VIP Subscribers Only. by Hailee Steinfeld & Alesso f. Florida Georgia Line VIP Subscribers Only. by Fifth Harmony VIP Subscribers Only. by Camila Cabello featuring Young Thug VIP Subscribers Only. by Justine Skye featuring Jeremih VIP Subscribers Only. by Louis Tomlinson featuring Bebe Rexha VIP Subscribers Only. by Fall Out Boy VIP Subscribers Only. by Playboi Carti VIP Subscribers Only. by Jonas Blue featuring William Singe VIP Subscribers Only. by Chris Brown VIP Subscribers Only. by Marshmello & Khalid VIP Subscribers Only. by Fat Joe featuring Dre VIP Subscribers Only. by DJ Envy featuring Fetty Wap & DJ Slink VIP Subscribers Only. by DJ Envy F. Fetty Wap & DJ Sliink VIP Subscribers Only. by DJ Khaled featuring Rihanna & Bryson Tiller VIP Subscribers Only. by Bebe Rexha featuring Lil Wayne VIP Subscribers Only. by The Dream featuring Fabolous VIP Subscribers Only. by Dej Loaf VIP Subscribers Only. by Macklemore featuring Skylar Grey VIP Subscribers Only. by Fifth Harmony featuring Gucci Mane VIP Subscribers Only. by Bruno Mars VIP Subscribers Only. by Katy Perry featuring Nicki Minaj VIP Subscribers Only. by Katy Perry VIP Subscribers Only. by Dillon Francis featuring G-Eazy VIP Subscribers Only. by Tee Grizzley VIP Subscribers Only. by Jax Jones featuring Demi Lovato and Stefflon Don VIP Subscribers Only. by Jax Jones featuring Demi Lovato & Stefflon Don VIP Subscribers Only. by Zedd and Liam Payne VIP Subscribers Only. by Selena Gomez featuring Gucci Mane VIP Subscribers Only. by Calvin Harris featuring Pharrell & Big Sean VIP Subscribers Only. by French Montana featuring The Weeknd & Max B VIP Subscribers Only. by Jax Jones featuring Raye VIP Subscribers Only. by Stargate featuring Pink and Sia VIP Subscribers Only. by Demi Lovato VIP Subscribers Only. by The Weeknd VIP Subscribers Only. by Yo Gotti and Mike Will Made It featuring Nicki Min VIP Subscribers Only. by Cheat Codes featuring Demi Lovato VIP Subscribers Only. by J Balvin and Willy William VIP Subscribers Only. by Lorde VIP Subscribers Only. by Katy Perry featuring Migos VIP Subscribers Only. by French Montana featuring Swae Lee VIP Subscribers Only. by Trey Songz VIP Subscribers Only. by DNCE featuring Nicki Minaj VIP Subscribers Only. by DJ Khaled f. Justin Bieber, Quavo and Chance the R VIP Subscribers Only. by Andy Grammer VIP Subscribers Only. by Pitbull and J Balvin VIP Subscribers Only. by Charlie Puth VIP Subscribers Only. by Maroon 5 f. Future VIP Subscribers Only. by Kendrick Lamar VIP Subscribers Only. by Kygo f. Selena Gomez VIP Subscribers Only. by Future VIP Subscribers Only. by Liam Payne featuring Quavo and Chance the Rapper VIP Subscribers Only. by Keith Urban and Carrie Underwood VIP Subscribers Only. by Lil Uzi Vert VIP Subscribers Only. by Minos featuring Gucci Mane VIP Subscribers Only. by Zedd and Alessia Cara VIP Subscribers Only. by Flo Rida featuring 99 Percent VIP Subscribers Only. by JoJo featuring Remy Ma VIP Subscribers Only. by Linkin Park featuring Kiira VIP Subscribers Only. by Rag n Bone Man VIP Subscribers Only. by Lupe Fiasco featuring Gizzle VIP Subscribers Only. by Florida Georgia Line featuring Tim McGraw VIP Subscribers Only. by Nicki Minaj featuring Drake and Lil Wayne VIP Subscribers Only. by Jason Derulo featuring Nicki Minaj VIP Subscribers Only. by Kyle f. Lil Yachty VIP Subscribers Only. by David Guetta F. Nicki Minaj VIP Subscribers Only. by MadeinTYO VIP Subscribers Only. by Flo Rida VIP Subscribers Only. by Clean Bandit featuring Sean Paul and Anne-Marie VIP Subscribers Only. by Miley Cyrus VIP Subscribers Only. by Kungs featuring Ephemerals VIP Subscribers Only. by Marian Hill VIP Subscribers Only. by Linkin Park VIP Subscribers Only. by Rob Stone featuring J Davi$ & Spooks VIP Subscribers Only. by Ariana Grande featuring Future VIP Subscribers Only. by Hey Violet VIP Subscribers Only. by Sage the Gemini VIP Subscribers Only. by Zara Larsson featuring TY Dolla Sign VIP Subscribers Only. by Jon Bellion VIP Subscribers Only. by Julia Michaels VIP Subscribers Only. by The Chainsmokers VIP Subscribers Only. by Chris Brown f. Gucci Mane & Usher VIP Subscribers Only. by DJ Snake f. Jeremiah & Young Thug VIP Subscribers Only. by Clean Bandit f. Sean Paul VIP Subscribers Only. by Rascal Flatts VIP Subscribers Only. by Ed Sheeran VIP Subscribers Only. by Austin Mahone and Pitbull VIP Subscribers Only. by Jack Jones featuring Mike Dunn and MNEK VIP Subscribers Only. by Ed Sheehan VIP Subscribers Only. by Migos and Lil Uzi Vert VIP Subscribers Only. by Zayn and Taylor Swift VIP Subscribers Only. by Rae Sremmurd VIP Subscribers Only. by YFN Lucci VIP Subscribers Only. by Gnash featuring Olivia OBrien VIP Subscribers Only. by Machine Gun Kelly and Camila Cabello VIP Subscribers Only. by Sia featuring Kendrick Lamar VIP Subscribers Only. by Young MA VIP Subscribers Only. by Partynextdoor VIP Subscribers Only. by Zay Hilfigerrr and Zaylon McCall VIP Subscribers Only. by Fitz and the Tantrums VIP Subscribers Only. by Kanye West VIP Subscribers Only. by The Game VIP Subscribers Only. by The Weeknd featuring Daft Punk VIP Subscribers Only. by Ariana Grande featuring Nicki Minaj VIP Subscribers Only. by Pitbull featuring Flo Rida & Lunchmoney Lewis VIP Subscribers Only. by Far East Movement & Marshmello VIP Subscribers Only. by Tove Lo VIP Subscribers Only. by Zara Larsson VIP Subscribers Only. by The Chainsmokers featuring Daya VIP Subscribers Only. by Sia featuring Sean Paul VIP Subscribers Only. by Frenship featuring Emily Warren VIP Subscribers Only. by The Chainsmokers featuring Halsey VIP Subscribers Only. by Lukas Graham VIP Subscribers Only. by Flume featuring Kai VIP Subscribers Only. by Lil Wayne, Wiz Khalifa and Imagine Dragons VIP Subscribers Only. by The 1975 VIP Subscribers Only. by Shaggy VIP Subscribers Only. by Tinashe VIP Subscribers Only. by Cash Cash and Digital Farm Animals f. Nelly VIP Subscribers Only. by DJ Khaled f. Jay Z VIP Subscribers Only. by Beyonce VIP Subscribers Only. by DJ Khaled f. Nicki Minaj, Chris Brown and Future VIP Subscribers Only. by Dillon Francis f. Snappy Jit VIP Subscribers Only. by D.R.A.M. f. Lil Yachty VIP Subscribers Only. by Meghan Trainor f. Yo Gotti VIP Subscribers Only. by DJ Snake & George Maple VIP Subscribers Only. by Kiiara VIP Subscribers Only. by Hailee Steinfeld & Grey f Zedd VIP Subscribers Only. by French Montana & Drake VIP Subscribers Only. by Skrillex & Rick Ross VIP Subscribers Only. by Tory Lanez VIP Subscribers Only. by twenty one pilots VIP Subscribers Only. by Kungs & Cookin On 3 Burners VIP Subscribers Only. by Sak Noel & Salvi f. Sean Paul VIP Subscribers Only. by Drake f Wizkid and Kyla VIP Subscribers Only. by Wale VIP Subscribers Only. by James Bay VIP Subscribers Only. by Alicia Keys VIP Subscribers Only. by Grace f. G-Eazy VIP Subscribers Only. by Galantis VIP Subscribers Only. by Fleur East VIP Subscribers Only. by DNCE VIP Subscribers Only. by Charlie Puth f. Selena Gomez VIP Subscribers Only. by Thomas Rhett VIP Subscribers Only. by Alan Walker VIP Subscribers Only. by Charly Black VIP Subscribers Only. by Dae Dae VIP Subscribers Only. by Fetty Wap VIP Subscribers Only. by Calvin Harris f. Rihanna VIP Subscribers Only. by Pink VIP Subscribers Only. by Fifth Harmony & Fetty Wap VIP Subscribers Only. by Fifth Harmony f. TY Dolla $ign VIP Subscribers Only. by Magic! f. Sean Paul VIP Subscribers Only. by Alunageorge f. Popcaan VIP Subscribers Only. by JR Castro VIP Subscribers Only. by Pitbull f. Enrique Iglesias VIP Subscribers Only. by Gwen Stefani VIP Subscribers Only. by Flo Rida f. Jason Derulo VIP Subscribers Only. by iLoveMemphis VIP Subscribers Only. by Tinashe f. Chris Brown VIP Subscribers Only. by Hailee Steinfeld f. DNCE VIP Subscribers Only. by Kygo f. Parson James VIP Subscribers Only. by Puff Daddy + The Family VIP Subscribers Only. by G-Eazy f. Chris Brown VIP Subscribers Only. by Jason Derulo VIP Subscribers Only. by Bebe Rexha f. Nicki Minaj VIP Subscribers Only. by Ghost Town DJS VIP Subscribers Only. by Keke Palmer F. Jeremih VIP Subscribers Only. by DLOW VIP Subscribers Only. by Nick Jonas F. Tove Lo VIP Subscribers Only. by Mike Posner VIP Subscribers Only. by Pitbull VIP Subscribers Only. by Zara Larsson & MNEK VIP Subscribers Only. by Kid Ink f. Fetty Wap VIP Subscribers Only. by One Direction VIP Subscribers Only. by Curren$y f. August Alsina & Lil Wayne VIP Subscribers Only. by Coldplay VIP Subscribers Only. by Dreezy f. Jeremih VIP Subscribers Only. by Sigala VIP Subscribers Only. by DJ Snake f. Bipolar Sunshine VIP Subscribers Only. by DJ Luke Nasty VIP Subscribers Only. by TIesto & Oliver Heldens f. Natalie LaRose VIP Subscribers Only. by Jess Glynne VIP Subscribers Only. by Khia f. DS VIP Subscribers Only. by Natheneil Rateliff & The Night Sweats VIP Subscribers Only. by Andy Grammar VIP Subscribers Only. by Young Thug VIP Subscribers Only. by Kevin Gates VIP Subscribers Only. by Belly f. The Weeknd VIP Subscribers Only. by Ty Dolla $ign f. E-40 VIP Subscribers Only. by Ellie Goulding VIP Subscribers Only. by Missy Elliott f. Pharrell Williams VIP Subscribers Only. by Justin Bieber VIP Subscribers Only. by David Guetta f. Sia & Felly Wap VIP Subscribers Only. by Rita Ora VIP Subscribers Only. by French Montana VIP Subscribers Only. by Kirko Bangz f. Fetty Wap VIP Subscribers Only. by Elle King VIP Subscribers Only. by Dawin f. Silento VIP Subscribers Only. by K Camp VIP Subscribers Only. by Meek Mill f. Nicki Minaj & Chris Brown VIP Subscribers Only. by Macklemore and Ryan Lewis VIP Subscribers Only. by IHeartMemphis VIP Subscribers Only. by OMI VIP Subscribers Only. by Icona Pop VIP Subscribers Only. by R. City f. Adam Levine VIP Subscribers Only. by Lil Wayne & Charlie Puth VIP Subscribers Only. by Yolanda Be Cool & DCUP VIP Subscribers Only. by Calvin Harris f. Disciples VIP Subscribers Only. by Fetty Wap f. Remy Boyz VIP Subscribers Only. by Silento VIP Subscribers Only. by Omarion f. Kid Ink VIP Subscribers Only. by Austin Mahone VIP Subscribers Only. by Little Mix VIP Subscribers Only. by Madonna f. Nicki Minaj VIP Subscribers Only. by Felix Jaehn f. Jasmine Thompson VIP Subscribers Only. by Selena Gomez f. ASAP Rocky VIP Subscribers Only. by Trey Songz f. Nicki Minaj VIP Subscribers Only. by Diplo, CL, and Riff Raff VIP Subscribers Only. by Natalie La Rose f. Fetty Wap VIP Subscribers Only. by D.R.A.M. VIP Subscribers Only. by Martin Garrix f. Usher VIP Subscribers Only. by Wiz Khalifa f. Charlie Puth VIP Subscribers Only. by Katy Tiz VIP Subscribers Only. by Sage The Gemini f. Nick Jonas VIP Subscribers Only. by Icono Pop VIP Subscribers Only. by Felix VIP Subscribers Only. by Janelle Monae f. Jidenna VIP Subscribers Only. by Years And Years VIP Subscribers Only. by MKTO VIP Subscribers Only. by Kid Ink f. Def Loaf VIP Subscribers Only. by Kat DeLunca f. Trey Songz VIP Subscribers Only. by Pia Mian F. Chris Brown VIP Subscribers Only. by Tink VIP Subscribers Only. by Matoma f. Notorious BIG & Ja Rule VIP Subscribers Only. by Carly Rae Jepsen VIP Subscribers Only. by Flo Rida f. Robin Thicke & Verdine White VIP Subscribers Only. by Major Lazer f. DJ Snake & M0 VIP Subscribers Only. by Charlie Puth f. Meghan Trainor VIP Subscribers Only. by will.i.am f. Justin Bieber VIP Subscribers Only. by Kstylis VIP Subscribers Only. by Rihanna VIP Subscribers Only. by B.o.B. F. 2 Chainz VIP Subscribers Only. by Kid Ink f. Chris Brown VIP Subscribers Only. by Nelly VIP Subscribers Only. by Chris Brown f. Rihanna VIP Subscribers Only. by Tinashe f. Iggy Azalea VIP Subscribers Only. by Zedd f. Selena Gomez VIP Subscribers Only. by Snoop Dogg f. Charlie Wilson VIP Subscribers Only. by Snoop Dogg d. Charlie Wilson VIP Subscribers Only. by Timmy Trumpet f. Savage VIP Subscribers Only. by Jake Miller f. Travie McCoy VIP Subscribers Only. by Tech N9ne f. 2 Chainz & B.o.B. VIP Subscribers Only. by DJ Snake f. Alunageorge VIP Subscribers Only. by Iggy Azalea f. Jennifer Hudson VIP Subscribers Only. by Ciara VIP Subscribers Only. by Malibu N Helene VIP Subscribers Only. by O.T. Genasis VIP Subscribers Only. by Nick Jonas VIP Subscribers Only. by Becky G VIP Subscribers Only. by Casey Veggies f. TG & Iamsu! VIP Subscribers Only. by Jidenna f. Roman GianArthur VIP Subscribers Only. by Sia f. The Weekend VIP Subscribers Only. by Fifth Harmony f. Kid Ink VIP Subscribers Only. by Wash f. French Montana VIP Subscribers Only. by Ty Dolla $ign f. Charli XCX VIP Subscribers Only. by Chris Brown f. Tyga VIP Subscribers Only. by Rae Sremmurd f. Nicki Minaj VIP Subscribers Only. by LunchMoney Lewis VIP Subscribers Only. by Jack U f. Kiesza VIP Subscribers Only. by Madonna VIP Subscribers Only. by Jessie J. VIP Subscribers Only. by J. Cole VIP Subscribers Only. by Prince Royce f. Snoop Dogg VIP Subscribers Only. by Omarion f. Christ Brown & Jhene Aiko VIP Subscribers Only. by Dave Aude f. Jessica Sutta VIP Subscribers Only. by Pitbull f. Ne-Yo VIP Subscribers Only. by Mark Ronson f. Bruno Mars VIP Subscribers Only. by Natalie La Rose f. Jeremith VIP Subscribers Only. by Calvin Harris f. Ellie Goulding VIP Subscribers Only. by Nicki Minaj f. Drake & Lil Wayne VIP Subscribers Only. by Sevyn Streeter VIP Subscribers Only. by Tag Team VIP Subscribers Only. by I Love Makonnen f. Drake VIP Subscribers Only. by Cash Cash VIP Subscribers Only. by Fergie VIP Subscribers Only. by Nico & Vinz VIP Subscribers Only. by Flo Rida f. Sage The Gemini VIP Subscribers Only. by Kongos VIP Subscribers Only. by Charli XCX VIP Subscribers Only. by TeeFlii f. 2 Chainz VIP Subscribers Only. by Lilly Wood & Robin Schulz VIP Subscribers Only. by Kendrick Lamar f. Drake VIP Subscribers Only. by Kid Ink f. Usher & Tinashe VIP Subscribers Only. by Lil Jon f. Tyga VIP Subscribers Only. by Jessie J., Ariana Grande, & Nicki Minaj VIP Subscribers Only. by Echosmith VIP Subscribers Only. by Steve Aoki f. Chris Lake VIP Subscribers Only. by Zeds Dead f. Twin Shadow VIP Subscribers Only. by T. I. f. Iggy Azalea VIP Subscribers Only. by Ariana Grande f. Zedd VIP Subscribers Only. by Sia VIP Subscribers Only. by Demi Lovato f. Cher Lloyd VIP Subscribers Only. by Schoolboy Q f. BJ The Chicago Kid VIP Subscribers Only. by Enrique Iglesias f. Sean Paul VIP Subscribers Only. by Tiesto f. Mathew Koma VIP Subscribers Only. by Ariana Grande f. Iggy Azalea VIP Subscribers Only. by One Republic VIP Subscribers Only. by Usher VIP Subscribers Only. by Pharrell Williams VIP Subscribers Only. by Magic! VIP Subscribers Only. by Wiz Khalifa VIP Subscribers Only. by Tinashe f. Schoolboy VIP Subscribers Only. by Pitbull f. G.R.L. VIP Subscribers Only. by Future f. Pharrell Pusha T & Casino VIP Subscribers Only. by Lady Gaga VIP Subscribers Only. by Calvin Harris VIP Subscribers Only. by David Guetta f. Skylar Grey VIP Subscribers Only. 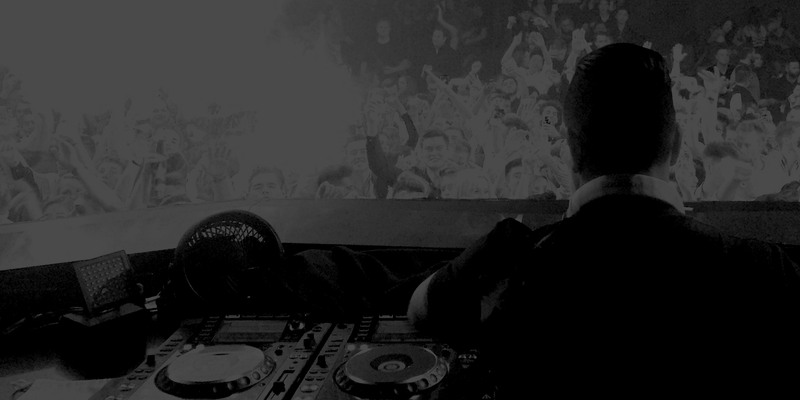 by Tiesto VIP Subscribers Only. by Dillion Francis And DJ Snake VIP Subscribers Only. by Disclosure f. Mary J. Blige VIP Subscribers Only. by will.i.am f. Miley Cyrus VIP Subscribers Only. by Iggy Azalea f. Charli XCX VIP Subscribers Only. by Nico And Vinz VIP Subscribers Only. by Paramore VIP Subscribers Only. by Eminem f. Nate Russ VIP Subscribers Only. by Kiesza VIP Subscribers Only. by Rixton VIP Subscribers Only. by Clean Bandit VIP Subscribers Only. by Florida Georgia Line f. Luke Bryan VIP Subscribers Only. by DJ Mustard f. Jeezy, YG & Que VIP Subscribers Only. by T-Pain VIP Subscribers Only. by Austin Mahone f. Pitbull VIP Subscribers Only. by Schoolboy Q VIP Subscribers Only. by Aloe Blacc VIP Subscribers Only. by Sevyn Streeter f. Chris Brown VIP Subscribers Only. by Karmin VIP Subscribers Only. by Midnight Red VIP Subscribers Only. by Zedd f. Marthew Koma & Miriam Bryant VIP Subscribers Only. by DJ Infamous f. Jeezy & Ludacris VIP Subscribers Only. by John Legend VIP Subscribers Only. by Disclosure f. Sam Smith VIP Subscribers Only. by Calvin Harris f. Alesso VIP Subscribers Only. by Shakira f. Rihanna VIP Subscribers Only. by Krewella VIP Subscribers Only. by Redfoo VIP Subscribers Only. by The Neighbourhood VIP Subscribers Only. by Tyga & Justin Bieber VIP Subscribers Only. by Travie McCoy f. Jason Mraz VIP Subscribers Only. by Zendaya VIP Subscribers Only. by Mack Wilds VIP Subscribers Only. by Mel B. VIP Subscribers Only. by Zander Black VIP Subscribers Only. by Zedd f. Haley Williams VIP Subscribers Only. by Lupe Fiasco F. Ed Sheeran VIP Subscribers Only. by Eminem f. Rihanna VIP Subscribers Only. by John Newman VIP Subscribers Only. by Jake Miller VIP Subscribers Only. by Chris Brown f. Nicki Minaj VIP Subscribers Only. by Daft Punk f. Pharrell VIP Subscribers Only. by Breach VIP Subscribers Only. by Rise Of Artificial VIP Subscribers Only. by Sage The Gemin f. IamSu VIP Subscribers Only. by Priyanka Chopra f. Pitbull VIP Subscribers Only. by Juicy J F. Trey Songz & Wale VIP Subscribers Only. by Eminem VIP Subscribers Only. by Martin Garrix VIP Subscribers Only. by Calvin Harris f. Ayah Marar VIP Subscribers Only. by Sub Focus f. Alpines VIP Subscribers Only. by Pink f. Lilly Allen VIP Subscribers Only. by Macklemore & Ryan Lewis f. Schoolboy VIP Subscribers Only. by Mike Will Made It f. Miley Cyrus, Wiz K & Juicy J VIP Subscribers Only. by Lana Del Ray VIP Subscribers Only. by Bonnie McKee VIP Subscribers Only. by The Finatticz VIP Subscribers Only. by Nelly f. Nicki Minaj VIP Subscribers Only. by Ciara f. Nicki Minaj VIP Subscribers Only. by Jay Sean VIP Subscribers Only. by Ying Yang Twins VIP Subscribers Only. by Mario f. Nicki Minaj VIP Subscribers Only. by Parralox f. Ryan Adames VIP Subscribers Only. by Cedric Gervais f. Howard Jones VIP Subscribers Only. by Avicii VIP Subscribers Only.